Our custom marine salvage grapple assists commercial divers in recovering undesirable wreckage from sensitive marine environments. It is compatible with a variety of heavy lifting machinery. This method of recovery is a cost effective way to remove wreckage debris with little salvage value. 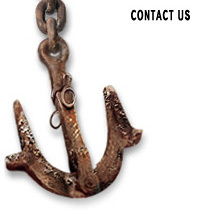 Cross Marine Projects also specializes in non-destructive underwater recovery methods of boats and other sunken vessels that have salvage or repair value. We have successfully recovered large multi-story house boats without compromising the integrity of the boat. This allowed the owners to repair the houseboats and other vessels instead of suffering a complete loss.